Ava had such a fun time down in Las Vegas, but since returning home she has been a little sad. 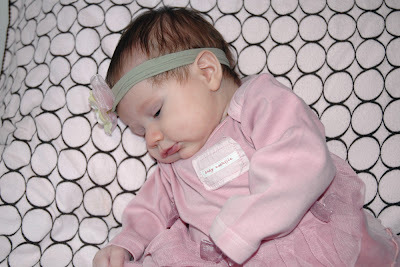 She has not been sleeping well and has been very fussy. Our theory is that she misses the shopping. We think she may also miss being around so many people. 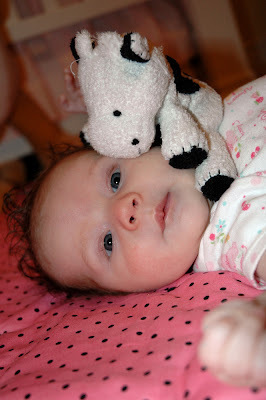 Now she is home alone all day with only her mommy and her friend Mr. Cow to keep her company. 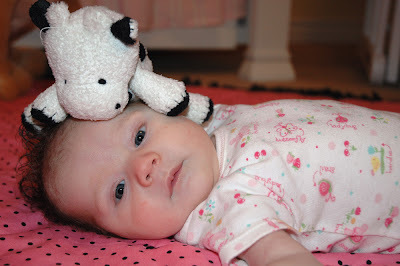 While Mr. Cow is fun to look at, he just isn't quite as entertaining as all of Ava's extended family. Well regardless of how sad she's been...she's dang cute, and it was so good to see her and Krista on Friday!!! She's an awfully cute little girl!!! We need to do it again soon!! !